It is possible to run most of the Sensory Apps on Windows, Mac or Chromebook. 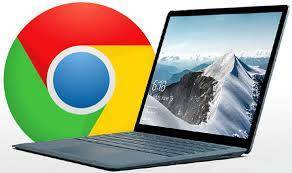 If you are a Microsoft Windows user with the Chrome desktop Browser installed, an Apple Mac user with Chrome desktop browser installed, or a Chromebook user, the Sensory web apps can just load from the cloud. After running, you can save the app as a Favorite web page for future quick access. As a demonstration, here is a link to run the Sensory Fun Painting app in a new tab, full window size. Just click the icon and the Fun Painting app should load and run in any modern browser, such as Chrome, Edge or Safari. Alternatively, in the frame below, choose from any of the 5 painting options, and create some neat artwork in the web page. Sensory web apps can be opened as separate pages (and run full screen) or embedded into a web page. Click Run to open Fun Painting in a new tab, full window size. You can see the full list of Sensory Web Apps to try out as a single user, for free. Just login and become a free member. School site licenses are also available. Please contact us at [email protected] if you would like to license the web apps for use on your network or in your application, or if you need us to send a direct link for the Web Apps.